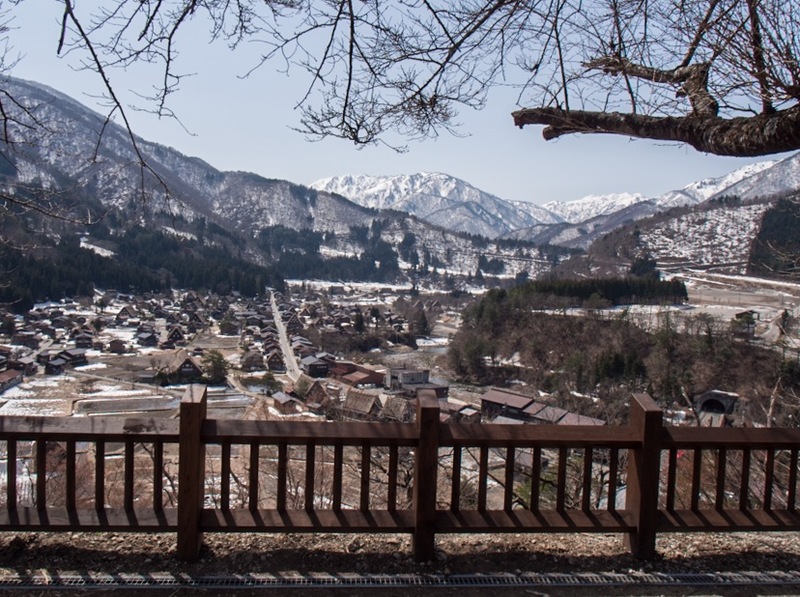 Finally, we’ve come to the end of our journey across Japan, which took us from Kyoto to Tokyo. We’ve had an amazing time, ate great food, meet nice people and saw so many modern and traditional sights, it was fascinating. I’ve selected my favourite pictures from this trip, first – all colour pics. Tomorrow, all black and white pics. 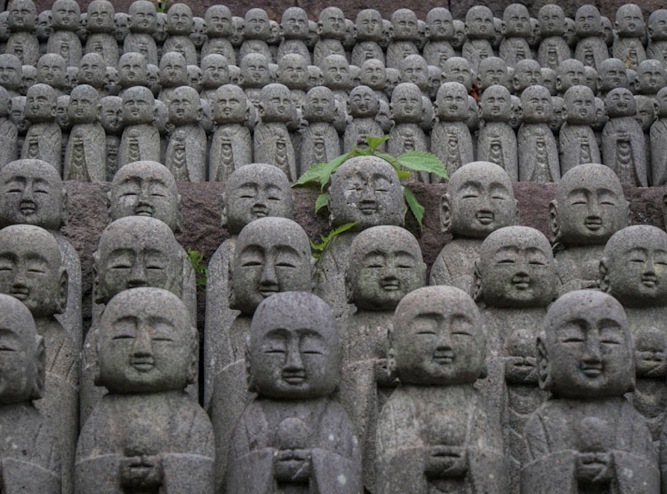 So first up today are the numerous Jizo statues at the Hasedera temple in Kamakura. 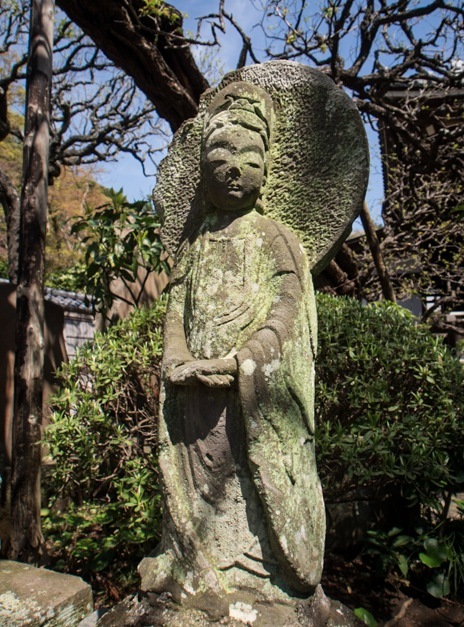 Next is one of the beautiful statues at the Engakuji Temple, also in Kamakura. I love how graceful and elegant she looks. 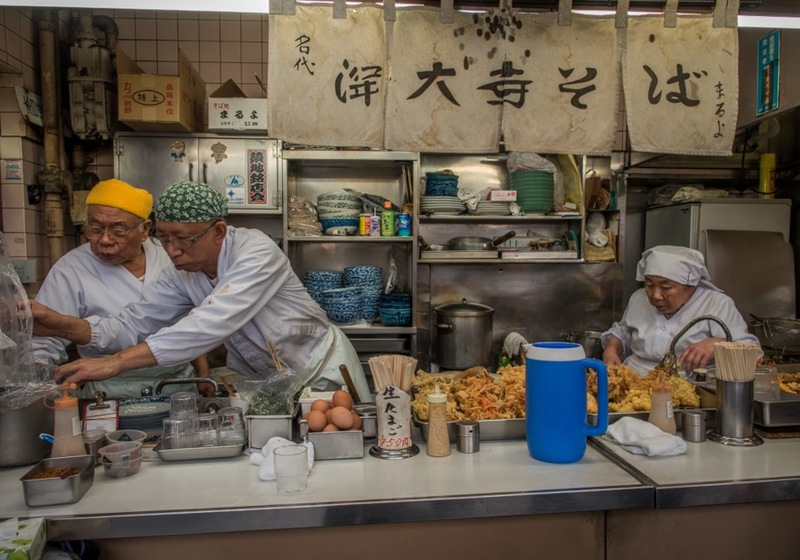 Then, a little Tempura shop at the outskirts of the Tsujiki Fish Market in Tokyo. The people working in the shop look like they’ve been working there for a long time. 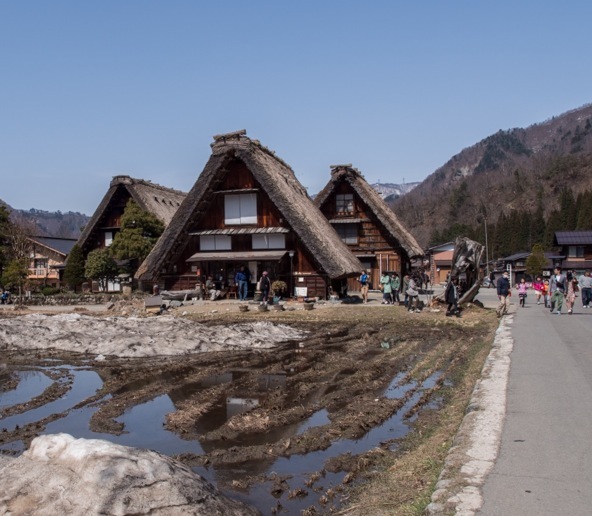 Then, back to the Japanese alps and to the gassho-style houses in the beautiful Shirakawago – fascinating houses with triangular roofs. It feels as if time has stood still here. 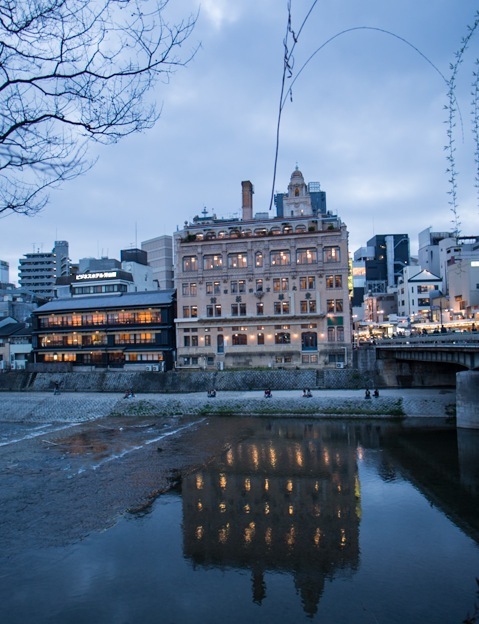 Back to Kyoto – a beautiful evening view across the Kamo River. Fancy some rice crackers? 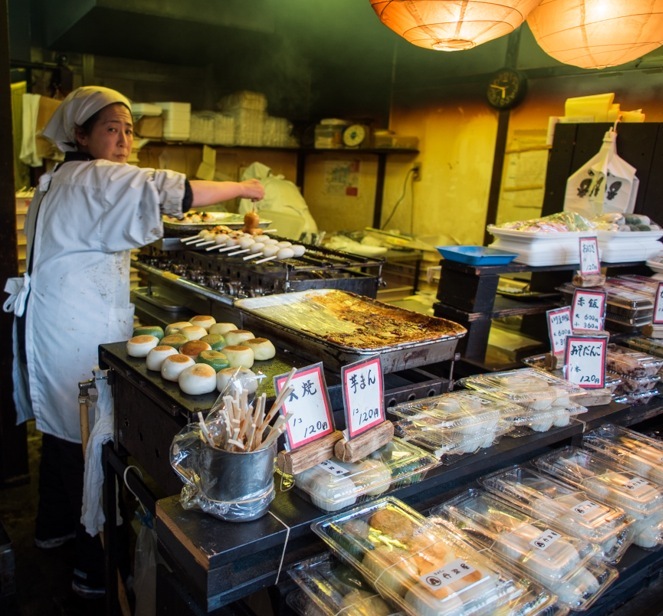 This shop in the Gion district of Kyoto sells all kind of different ones. 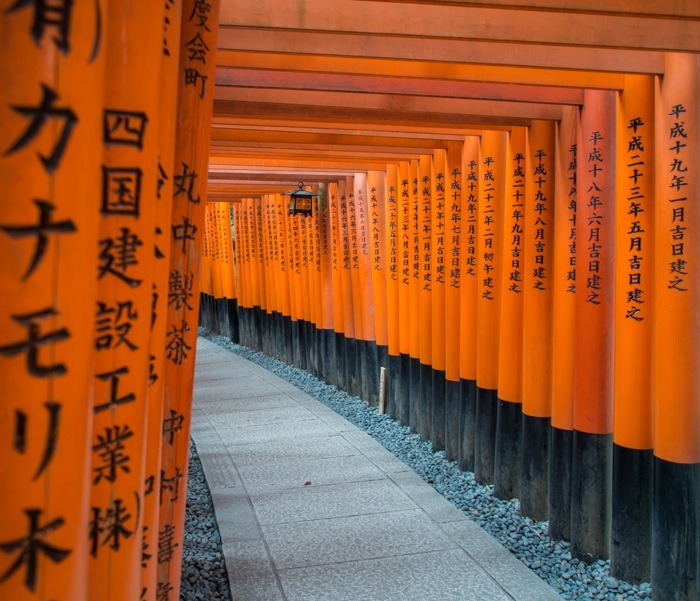 The shrine that I enjoyed the most was the Fushimi Inari Shrine in Kyoto – the red gates were just so beautiful to see. 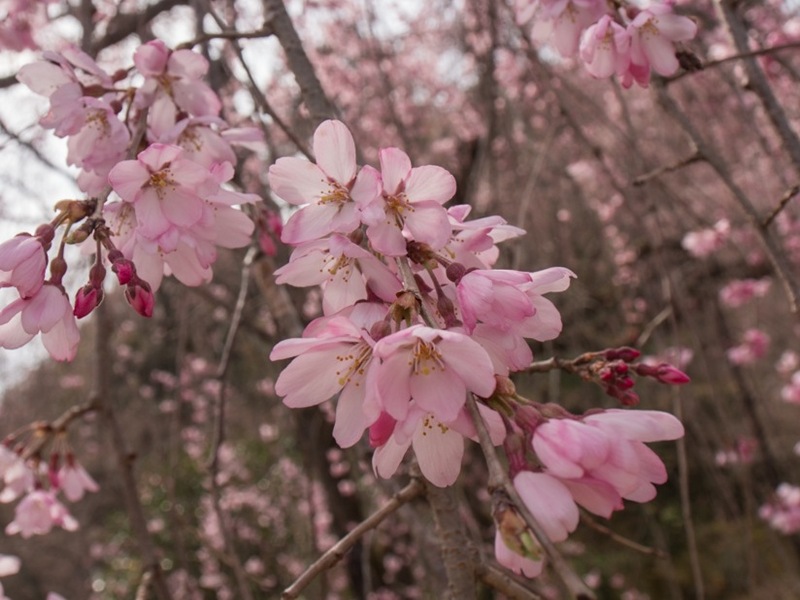 Sakura (cherry blossom) in Kyoto – we’ve clearly timed it well to be in Kyoto at the perfect time of the year. 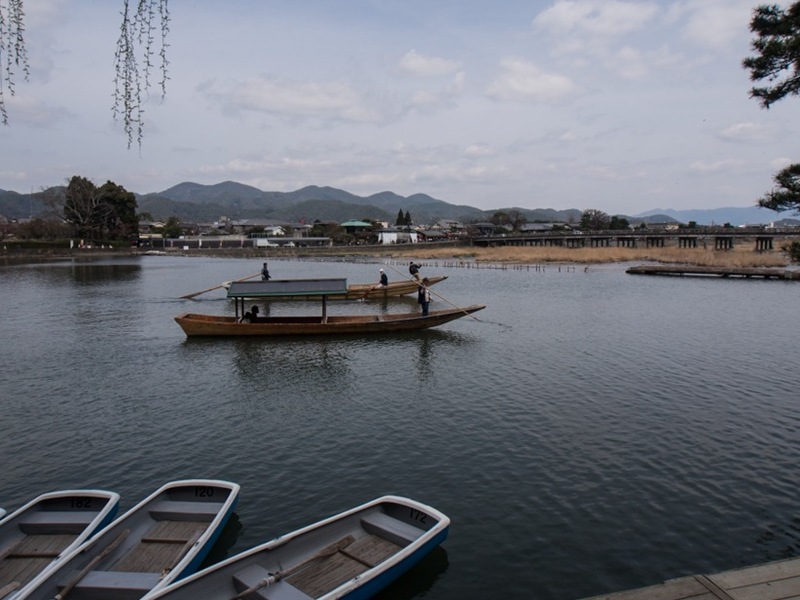 Arashiyama was also a beautiful place to visit – lots of heritage sites, many shops and restaurants. 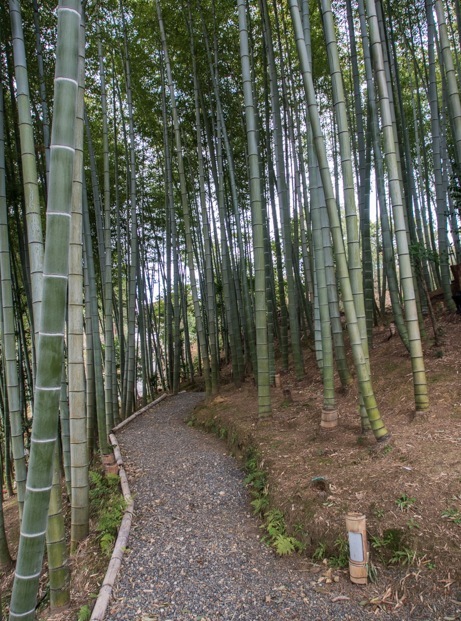 But I liked the quiet of the river and the bamboo grove the best. 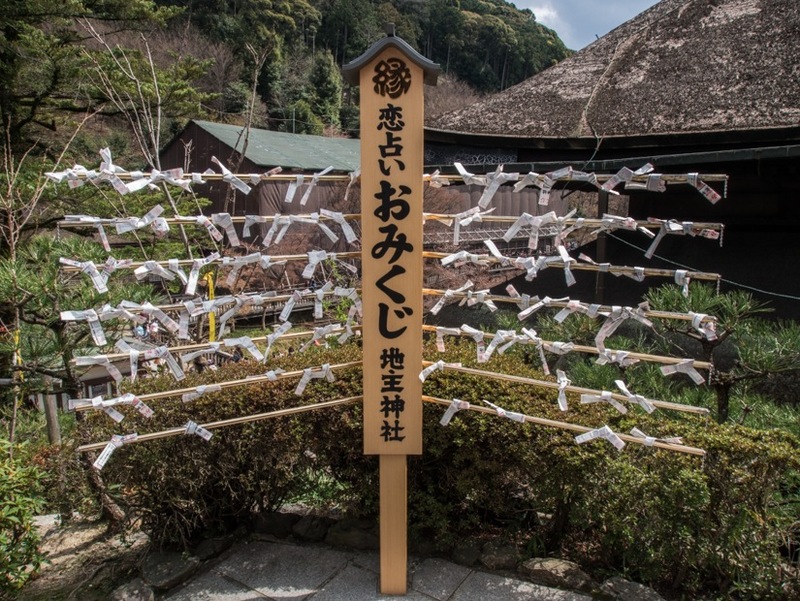 The final picture (for today) shows some wishes at the Kyomizudera Temple in Kyoto – let’s hope they’ll come true. I don’t think it’s right to call those two girls “fake geishas” There’s a huge difference between tourists dressing up as geisha and two girls that are just dressed in kimono. 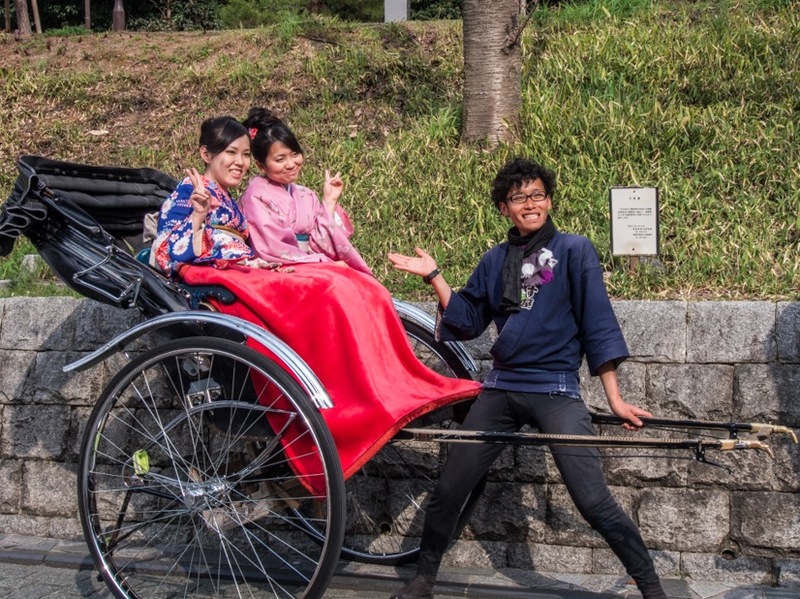 The kimono is the traditional clothing of Japan after all and it’s pretty common to see girls and guys strolling through areas like Kyoto dressed in them. Beautiful photos! No worries about the “fake geishas” clarification. It’s akin to being corrected for calling someone who looks like a foreign tourist in New York City wearing a Yankees uniform a baseball player. It doesn’t really matter. They could very be. Thanks Beth! I’m curious how the garden will look like, keep me posted please! 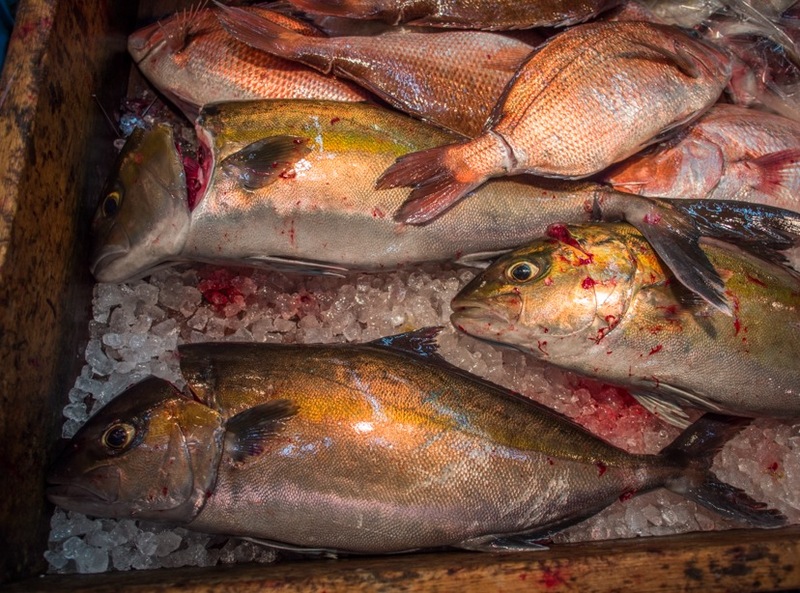 We’re off to Japan this weekend and I knew you’d have some relevant blog posts Bluebalu! We’ll be going to Kyoto, Hakone and Tokyo and I simply cannot wait! Have fun, it’s such a great country – and perfect time of the year!